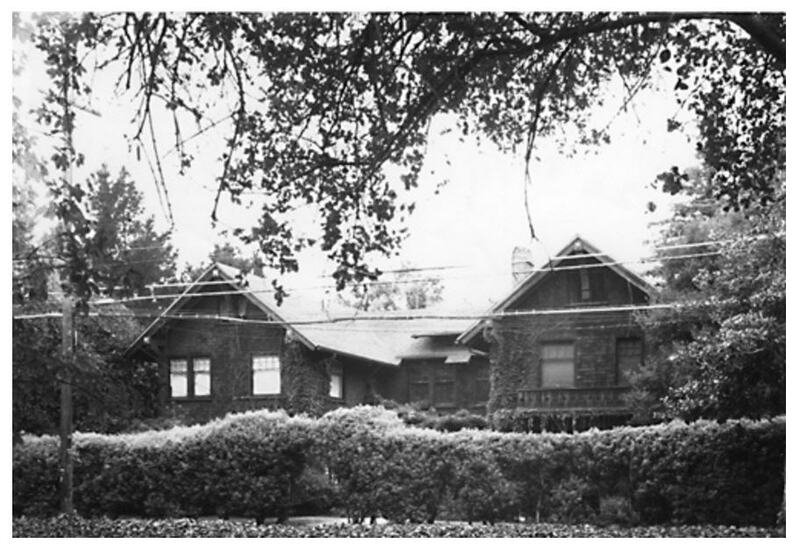 When Isabella’s husband Gustavus “Ross” Alden retired from the Presbyterian ministry in 1906, they moved to California. Isabella and Ross settled in Palo Alto, about three miles from Stanford University where their son Raymond was a professor of English. They purchased two adjoining residential lots and began construction on a new home. They worked with renown Bay Area architect A. W. Smith, who helped them design the home of their dreams. When it was complete, the house measured over 5,000 square feet. 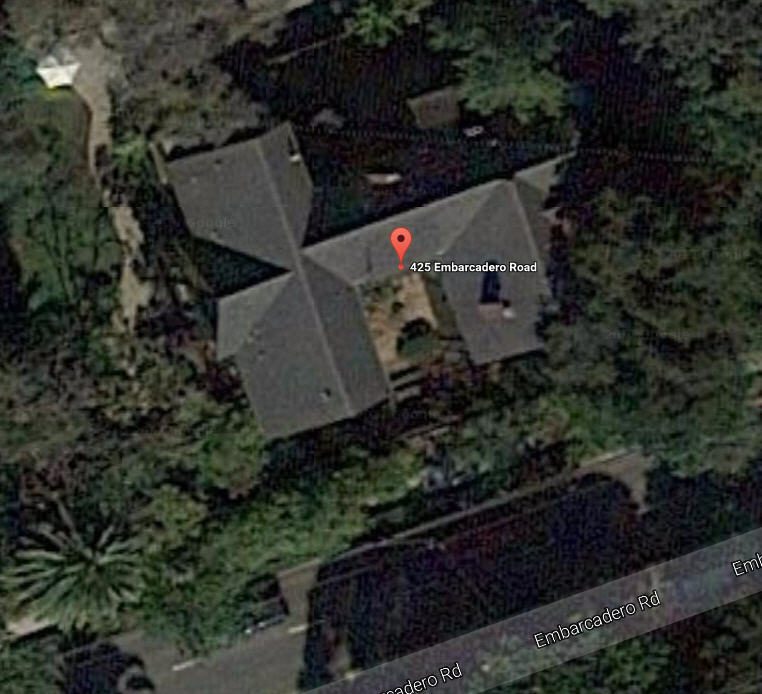 It was a duplex, built in the shape of a U around a central entrance court. Flanking the courtyard were two almost identical homes. Isabella and Ross moved into one side of the duplex; Raymond and his wife Barbara and their children moved into the other. 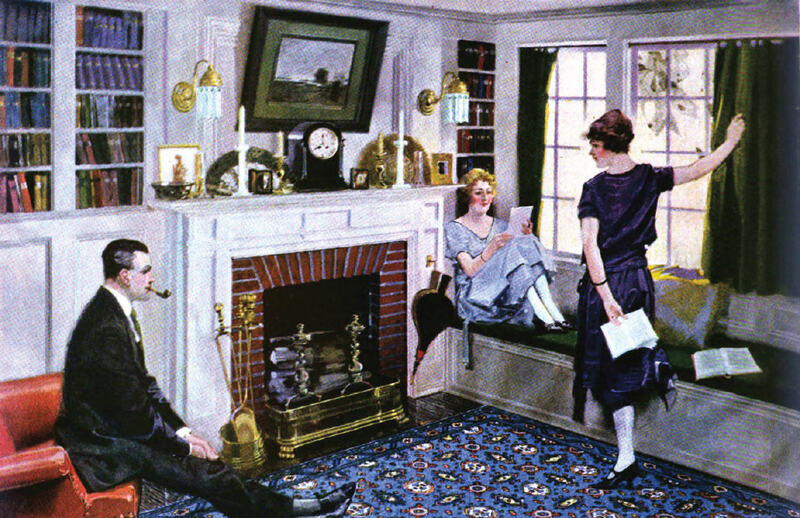 At the bottom of the U-shaped structure was a large living room which served as the connection between the two sides of the house. The side of the house occupied by Isabella and Ross had four bedrooms and two baths. Isabella’s sister Julia had a two-room suite to call her own. In later years, Isabella’s sister Mary also came to live in the house on Embarcadero after her husband passed away. The house was designed in the Craftsman style, with a few Swiss Chalet touches under the eaves and on the balconies. 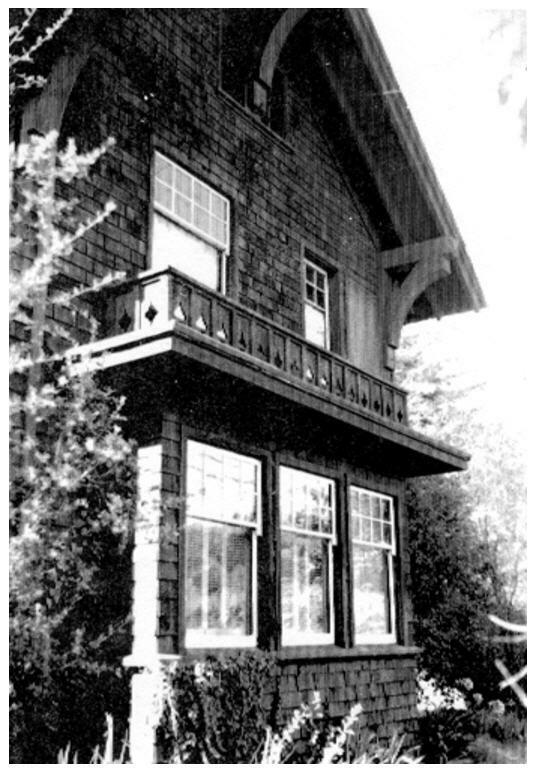 The house on Embarcadero Road showing the shingle detail and touches of Swiss Chalet trim work on the balcony and eaves. An ivy-covered wall surrounded the property, creating a private, tranquil garden-like setting for the family. A view of the Embarcadero Road house from the street. After many years of moving from one minister’s manse to another, Isabella must have relished the idea of decorating her very own, brand new home. She would have been able to furnish her kitchen with the newest appliances available on the market. 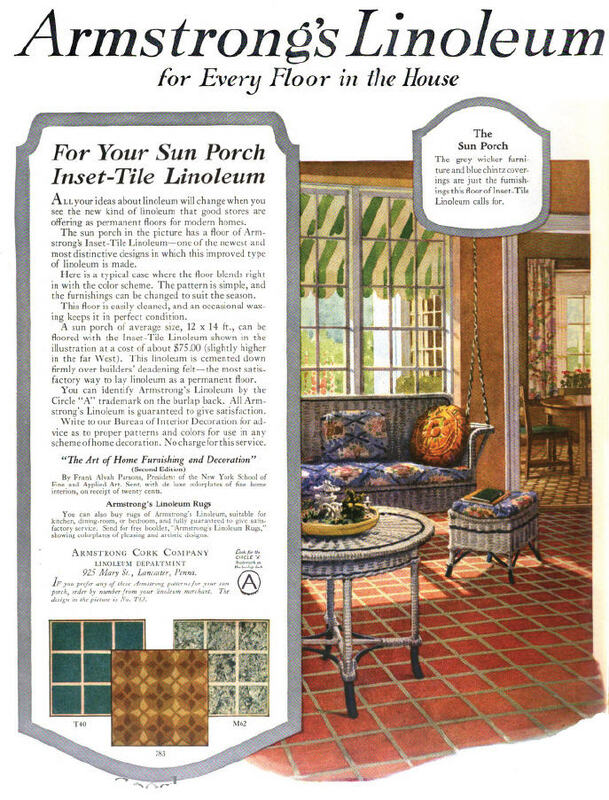 Linoleum was not a new product. In fact, it had been around for forty years; but in residential construction it was used almost exclusively in kitchens and bathrooms. Its attraction was that it was waterproof. It was also monochromatic, and its plain, utilitarian appearance (usually in a shade of deep brown) didn’t recommend it for use in any other room in the house. 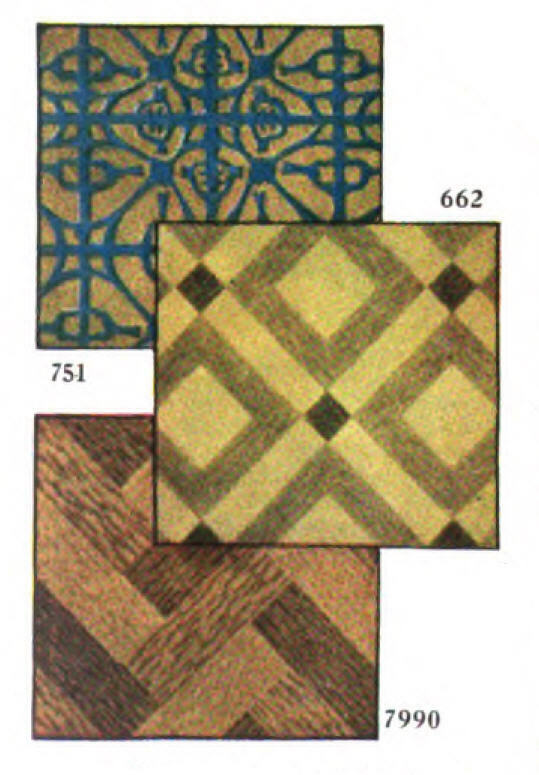 Sample patterns from Armstrong’s 1922 designs for linoleum flooring. Then, in 1906 linoleum manufacturers had a breakthrough; they invented a machine that allowed them to cut straight lines into linoleum, which made it possible to inlay other colors into linoleum sheets in simple designs. 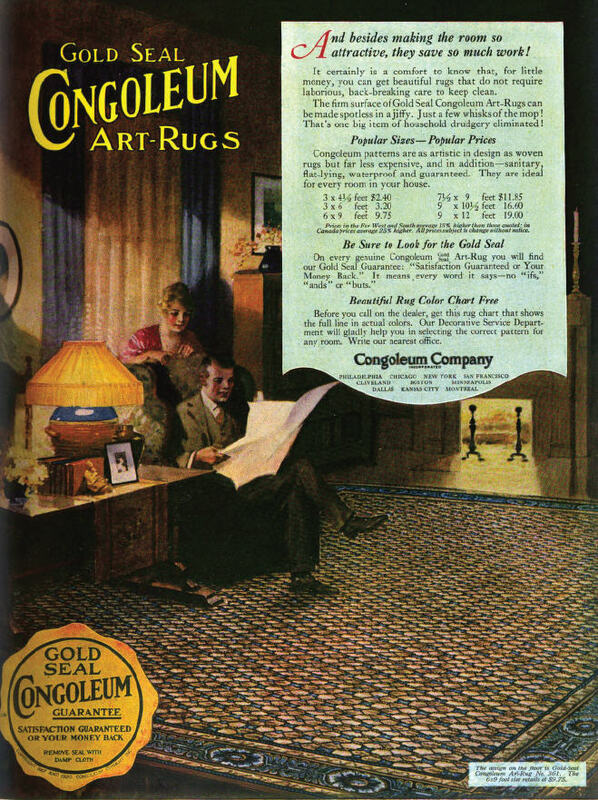 Soon after, manufacturers developed methods to produce complex patterns in linoleum, and Americans took notice. 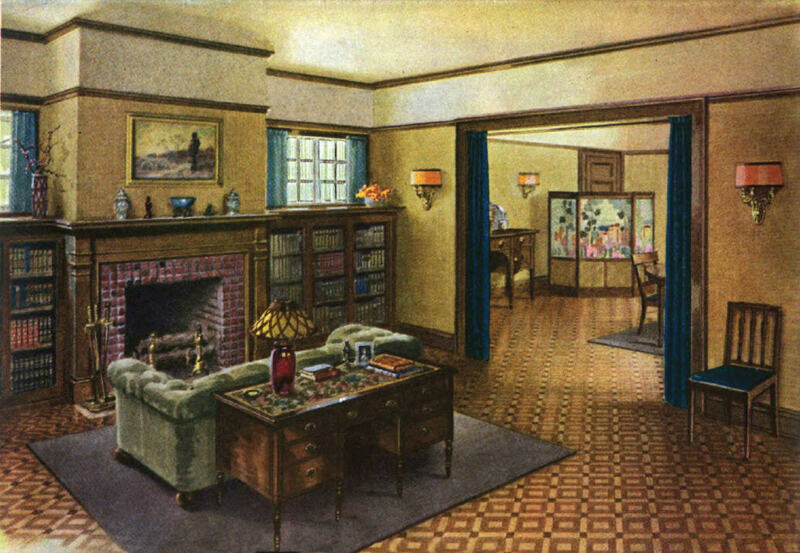 A Craftsman style living room, similar to the style that would have been in Isabella’s house; depicted in a 1921 Armstrong Linoleum print ad. 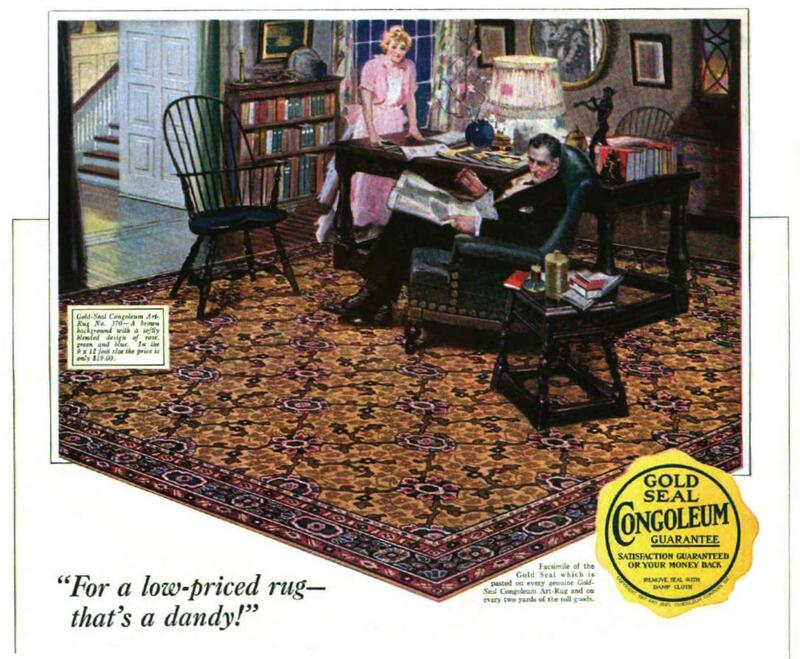 Linoleum cost only a fraction of the price of hardwood floors; and with its durability, beautiful patterns, and low prices, Linoleum soon became America’s favorite flooring. 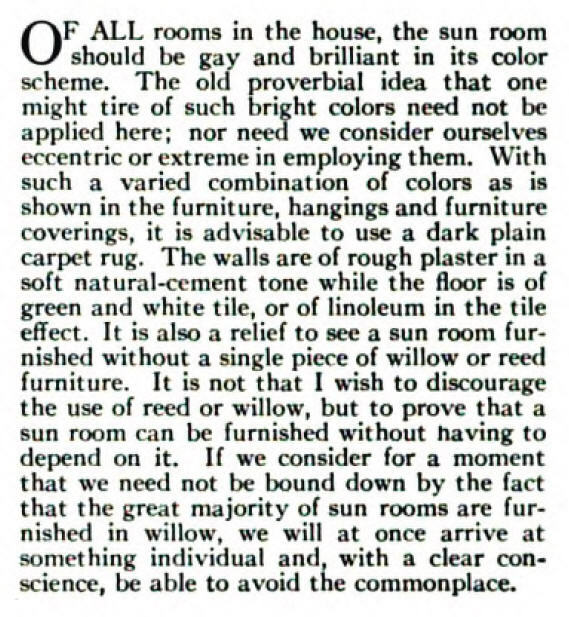 A portion of a 1922 print ad for Congoleum, Inc., manufacturers of linoleum flooring. 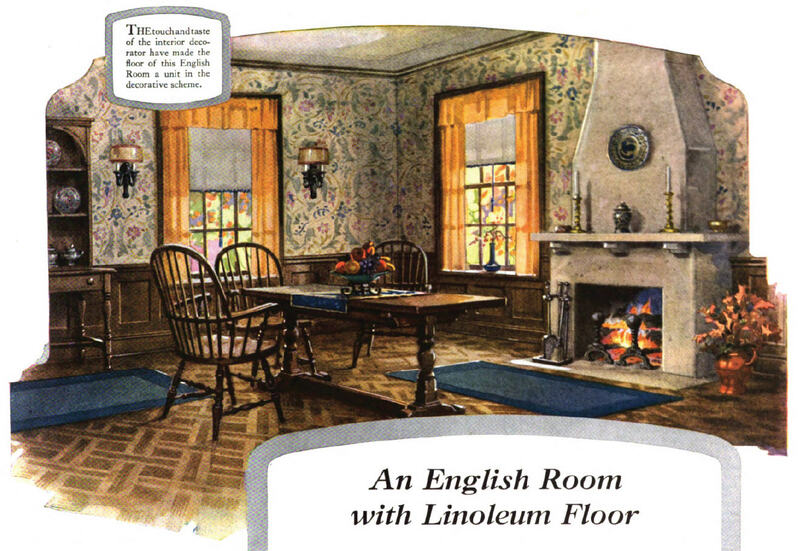 By 1919 linoleum manufacturers were enjoying brisk sales, and Americans were installing linoleum at record rates. 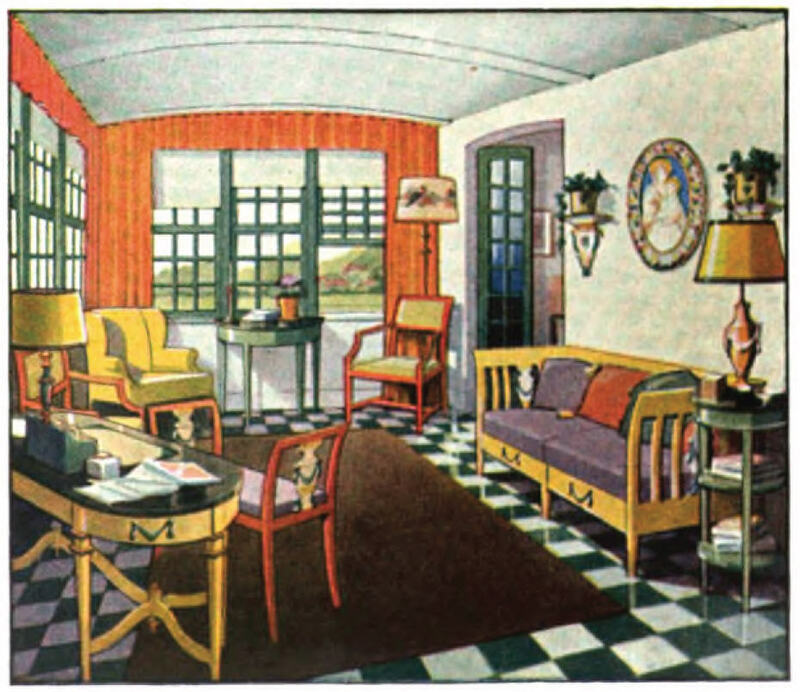 A dining room featuring Armstrong linoleum (from a 1922 ad in The Ladies’ Home Journal). 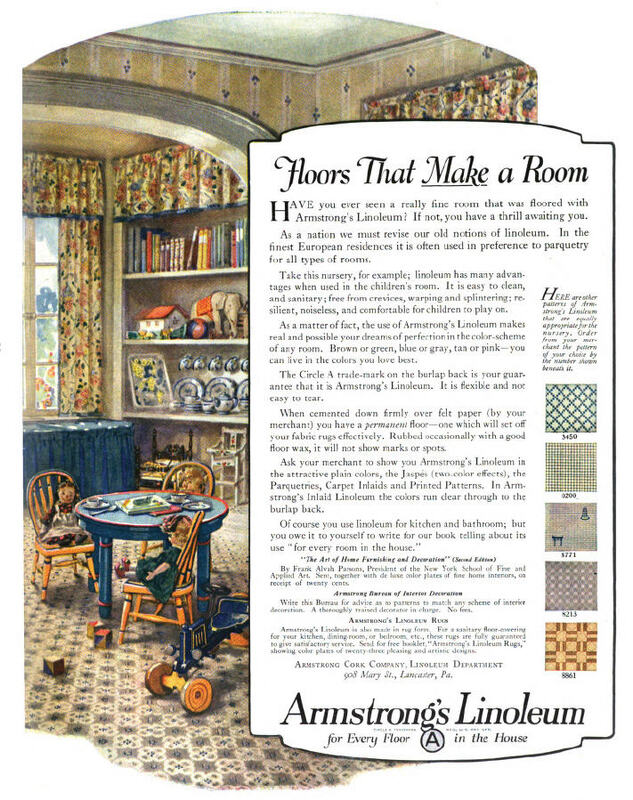 Linoleum came in every color of the rainbow, and in patterns ranging from florals to geometrics and everything in between. 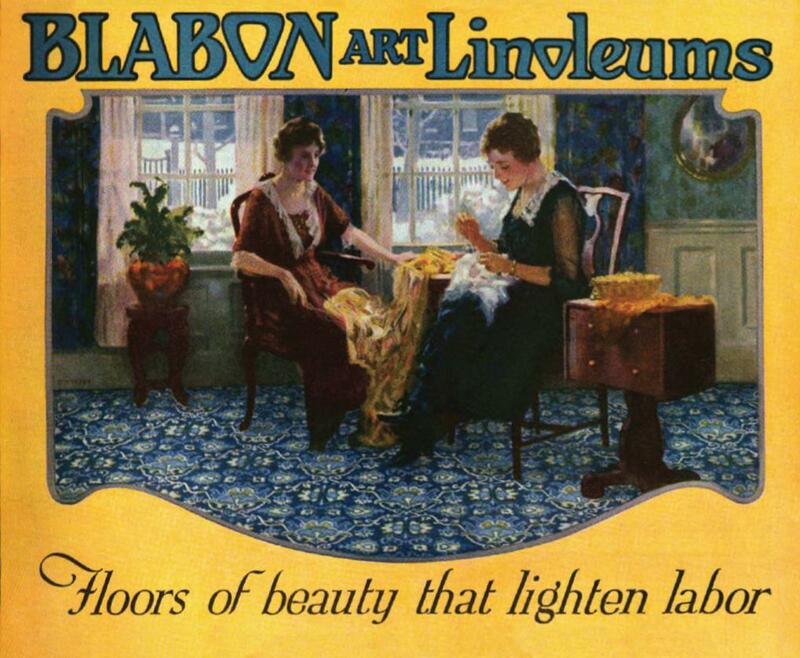 A 1922 print ad for Blabon linoleum. 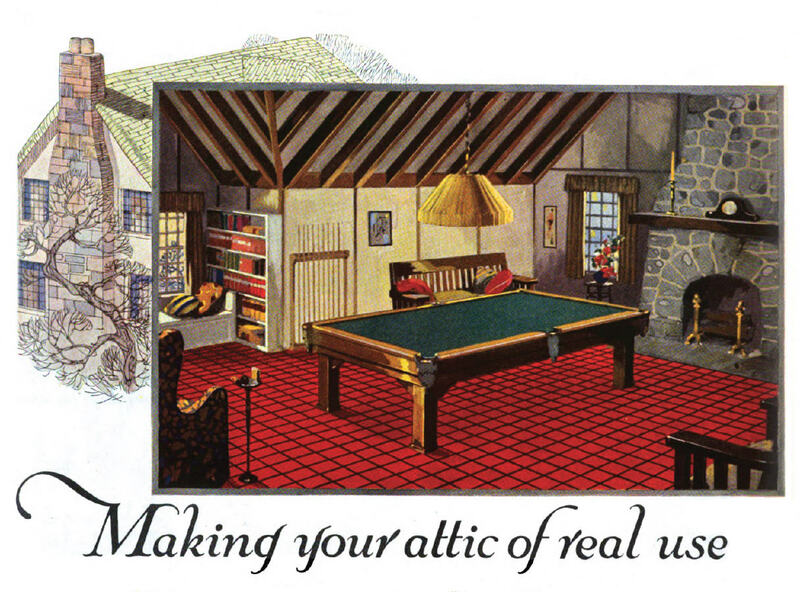 It even mimicked throw rugs, wall-to-wall carpeting and hardwood floors. 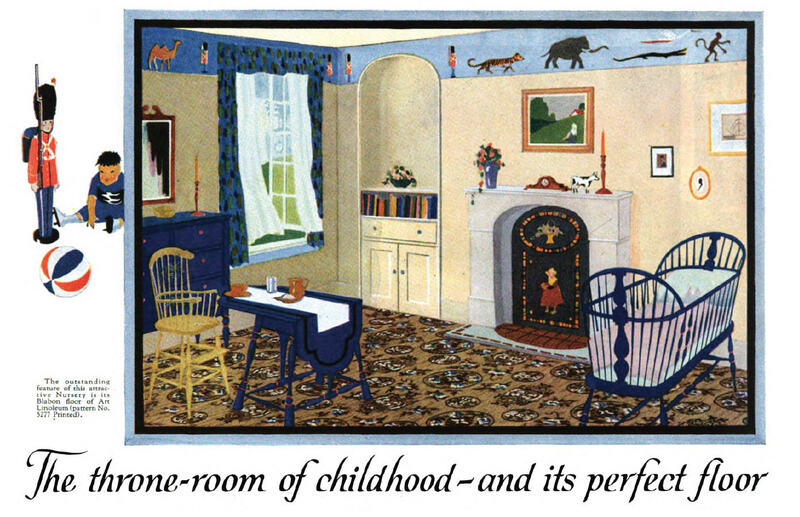 With so many patterns and colors to choose from, Americans could lay linoleum in their parlors and dining rooms, bedrooms and entry halls. And here’s the illustration that accompanied it. 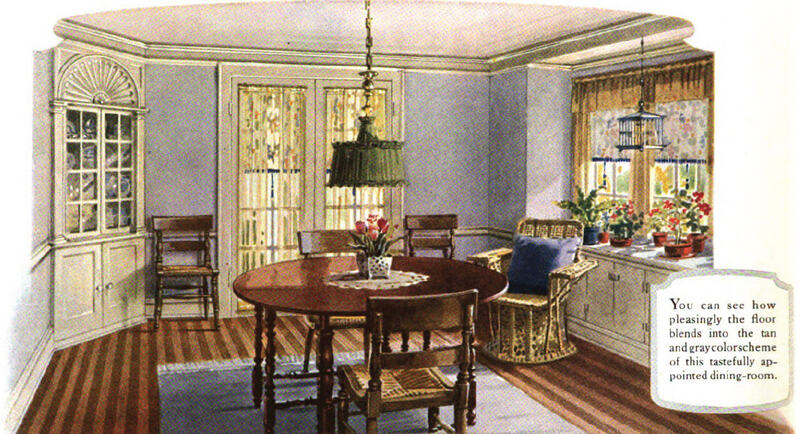 Housewives also appreciated linoleum because it was virtually maintenance free. It was easy to clean and required none of the regular waxing and polishing regimens needed for hardwood floors. 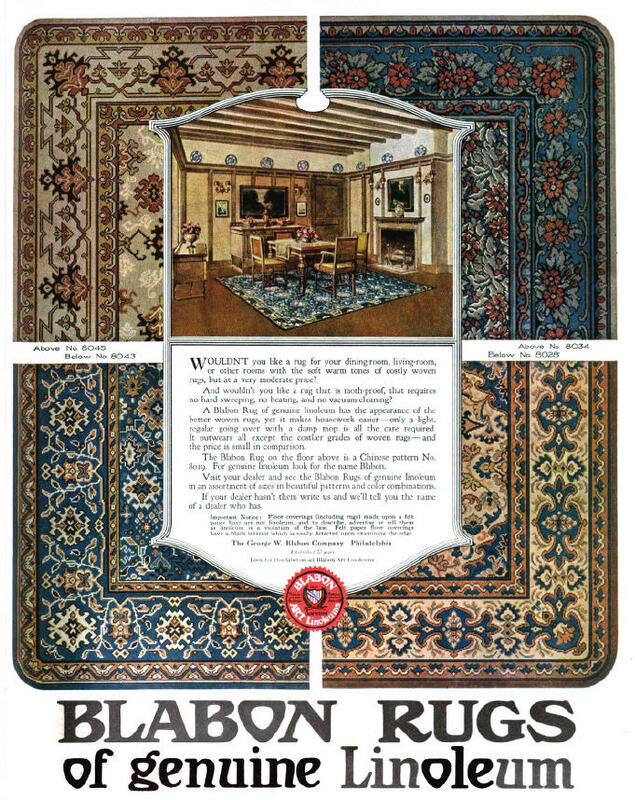 A 1921 ad for Blabon “Art Rugs” made of linoleum. The company often highlighted their product’s easy maintenance. 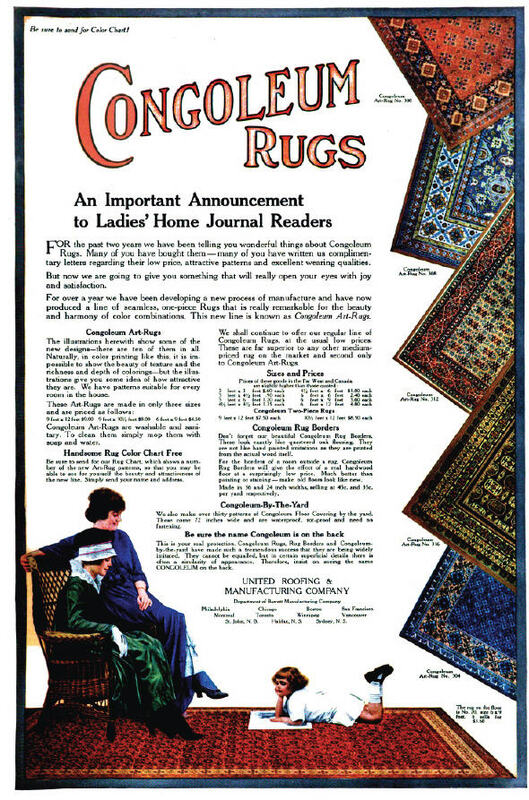 And unlike traditional wool rugs, linoleum rugs didn’t have to be taken outside and beaten in order to keep them clean. 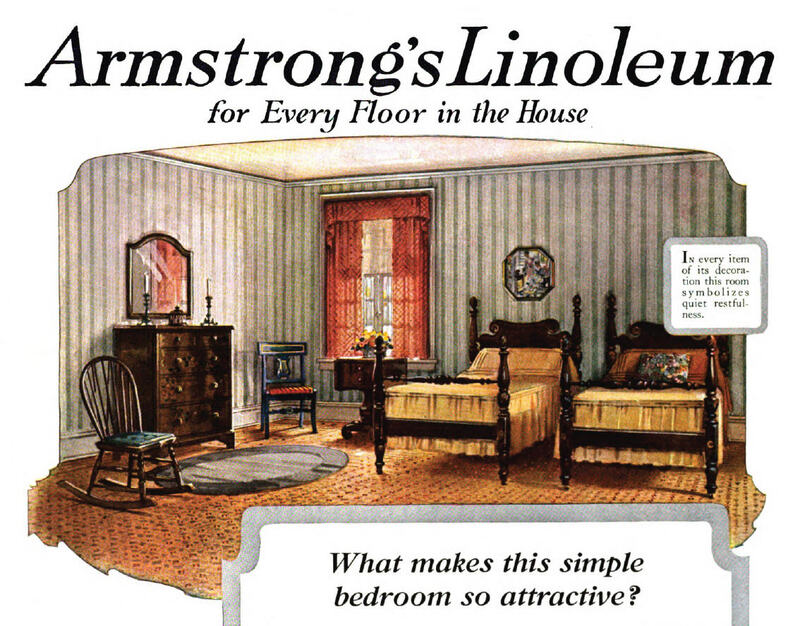 Part of a 1922 Armstrong linoleum ad. Isabella loved the house on Embarcadero. She had a dedicated room for writing, where she had her desk and typewriter. 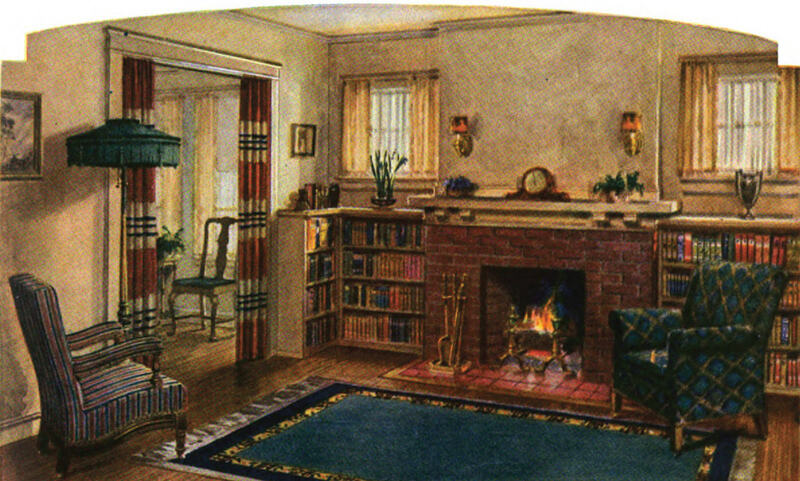 In that room she continued to produce stories and books until the late 1920s. She died in the house on August 5, 1930. 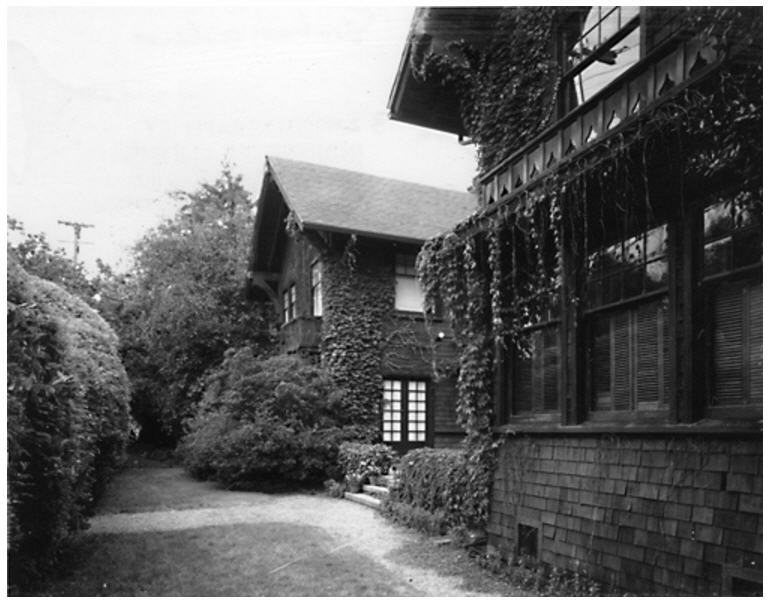 The house remained in the Alden family after her death; Isabella’s daughter-in-law Barbara lived there until the 1950s. The property was sold in 1966. What kind of decorating style do you think Isabella used in her new house? Do you think she would have furnished her dream home with linoleum, the new wonder flooring product? 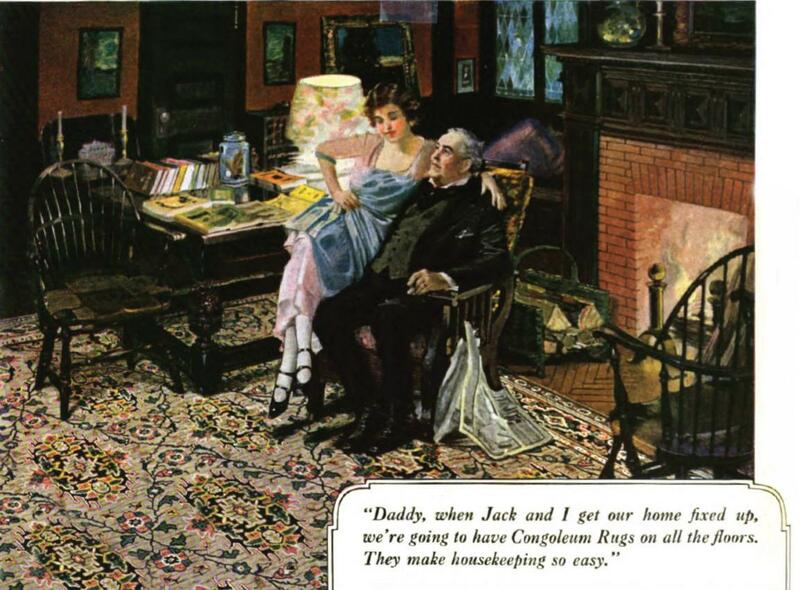 Or do you think she was more conservative when it came to decorating, and would have utilized traditional hardwood floors and wool carpets and rugs?